Coordinator of Government Activities in the Territories warns Gaza groups: Israel will respond to any retaliation for destruction of tunnel. 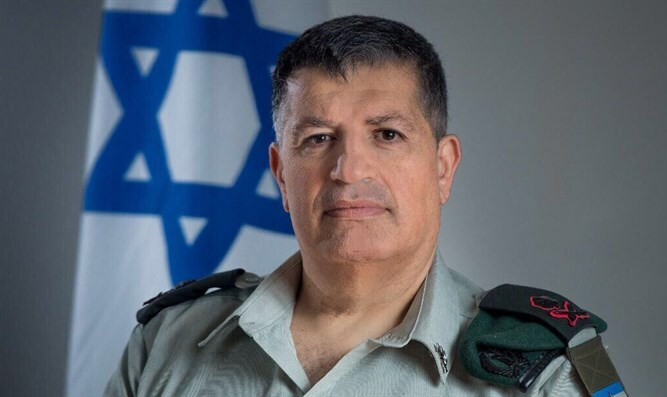 Major General Yoav Mordechai, the Coordinator of Government Activities in the Territories (COGAT), on Saturday night warned the terrorist organizations in Gaza that Israel will respond to any act of retaliation for the destruction of the terror tunnel that was exposed in Israeli territory two weeks ago. "We are aware of the plot being waged by the Palestinian Islamic Jihad against Israel. They are playing with fire on the backs of the residents of the Gaza Strip and at the expense of internal Palestinian reconciliation and the region as a whole,” Mordechai said in an Arabic-language video he posted to YouTube. "It should be clear," he added, "that for every Islamic Jihad response, wherever it is, Israel will respond with force and determination, not only to the Jihad but also to Hamas." "We advise the Islamic Jihad leadership in Damascus to exercise caution and control matters,” continued Mordechai. "The commander of the Palestinian Islamic Jihad in Damascus and the leaders of the organization - Ramadan Shalah and Ziad Nakhla - take matters quickly into your hands because you are the ones who will bear responsibility," he stressed. The Islamic Jihad has already threatened Israel, saying that its “response” to Israel over its destruction of the terror tunnel was ready. “People are used to familiar responses, like rocket-launching, but we have other options at our disposal,” said an official with the terrorist group earlier this week.